Mirabaud Asset Management has been on a hiring spree, seeking to boost capability in areas such as global equity and presence in markets such as the UK. Mirabaud Asset Management, part of Switzerland's private banking-led Mirabaud Group, is expanding its office in London and continues its recent hiring spree with the addition of a global equities team to be headed by former AXA Framlington manager Anu Narula. Group partner Yves Mirabaud (pictured) says the London office is an extension of activity in broking and corporate finance in the UK, after local clients starting asking for institutional asset management capability. The private client desk at the Grosvenor Square office has been boosted with the hiring of Anthony Bodenstein and Ihab Yassine as business development managers, and further hirings are likely. Mirabaud says the aim is to target both British domiciled high-net-worth clientele, and international clients with London connections. "We can reach firms via the links we already have. It is easier to start a conversation about one service if you already know the firm through another service, but opening up is a long process. We started thinking about it 18 months or two years ago," he says. He discounts the prospect of the UK leaving the European Union. "London will still be a major global financial centre, even if that does happen." Mirabaud Asset Management's addition of a global equities team is the latest in a series of high-profile hirings, including the recruitment of Dan Tubbs, head of Global Emerging Markets (formerly of BlackRock), Andrew Lake, head of Global High Yield (formerly of Aviva) and Pierre Pinel (formerly at BNP Paribas). 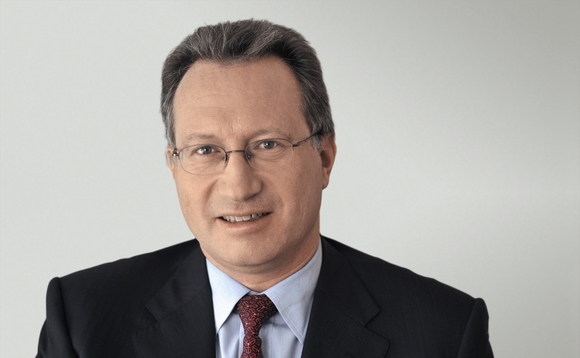 Under Lionel Aeschlimann, partner and head of asset management, the firm has been steadily developing its range of funds and now has some CHF9bn in assets under management. From July, Narula will take over the management of existing global equity products and mandates and develop new investment solutions, especially in high income, an area of particular interest as the bank seeks to identify opportunities in a low interest-rate environment. Narula began his career at Morley Fund Management in 2001 and moved to the global macro hedge fund Cadwyn Global from 2005 to 2007. At AXA Framlington he managed various portfolios including a global high income fund and a global opportunities fund. Both outperformed versus peers and benchmarks. The Mirabaud global equity Ucits fund will have $50m seeding from the Group. Its benchmark will be the MSCI All World plus 2% over three years (rolling), with lower volatility than the index. The incremental expansion of the fund range represents the careful, but entrepreneurial flavour to the group ethos, Mirabaud adds. "We were founded in 1819, but we consider ourselves like a 200-year-old start-up." The firm decided on a Ucits structure after considering legal, fiscal, commercial, regulatory and psychological issues. "We used to have various fund domiciles but it is more efficient and transparent to stick to one format, which gives us 100% control of what is held and where, at any time. We also learned after 2008 that size matters: the big banks are consolidating their fund selection teams, so you need bigger funds to pass that barrier to be considered."